Muskies, or muskellunge, is a sharp-toothed, aggressive fish that can grow to more than 50 inches long, and it is often considered the ultimate challenge in freshwater fishing have made a dramatic comeback in Michigan. There’s only one thing better than the heart-pounding experience of reeling in a monster-size muskie. “Releasing that fish and watching it swim away is a great feeling because you know you’re helping to make sure there’ll be more muskie out there for generations to come,” said Duke LeBaron of the Michigan Muskie Alliance, which works to improve and protect the state’s muskie population. So where can you find this elusive predator? Lake St. Clair is considered one of the premier spots in North America, attracting fishermen to its waters from across the world. “I’ve had guys on my boat from places like Singapore or Germany who say this is the greatest body of water they’ve ever seen in their lives,” said Don Miller, owner of Motor City Muskies, a fishing charter service on Lake St. Clair. Their fearless and curious nature makes them a fun fish to catch for beginners and professionals. 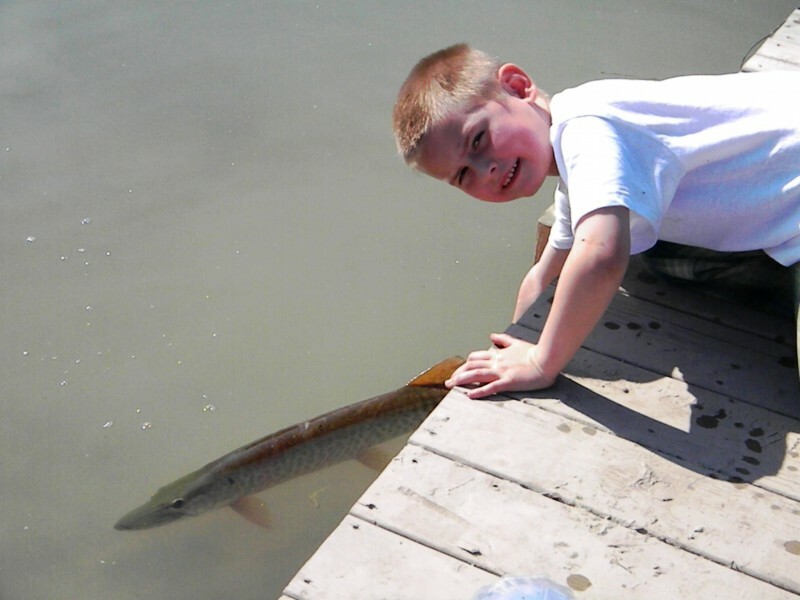 But to increase the fish’s numbers, the Michigan Muskie Alliance encourages catch and release. 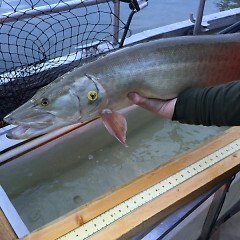 Muskies are massive fish, second in size only to sturgeon in Michigan. Their size and aggressiveness put them at the top of the Great Lakes food chain; their only predators are humans. Muskie prey primarily on “rough” fish such as carp and suckers, but they’re also known to take waterfowl or rodents when available. They prefer a big, easy meal rather than lots of snacking, which means they tend to eat the more numerous rough fish instead of other gamefish or small panfish. If allowed, a muskie can live to be 20 years old. But because they don’t begin spawning until they are 5 to 10 years, it is important to let them live long enough to reproduce. “Catch and release has had an immediate and noticeable difference on the population,” LeBaron said. Muskie anglers are the fastest-growing specialized fishing group, experts say. These fishermen have joined forces over the last 30 years to save the fish, especially in Lake St. Clair, said Cory Kovacs, a Michigan Department of Natural Resources fisheries biologist. Fishing regulations are carefully established to ensure that Michigan’s aquatic life and its habitats are protected and enhanced for the benefit of current and future generations. In Michigan, fishing regulations for muskie show a trend of increasing minimum size limit and reducing each person’s catch limit. Today, each licensed fisherman can take only one muskie annually, and the minimum size requirement is 42 inches in length. There’s been a significant shift toward conservation rather than harvesting fish in recent years, Kovacs said. In addition to stocking Michigan’s waters and managing muskie fishing restrictions, the DNR conduct surveys, which provide for a better understanding of the species’ population, migration and spawning habits. In turn, these surveys help better manage the muskie population throughout the state. Lake St. Clair is home to a large number of Great Lakes muskies, which are native to the majority of Michigan. That is why DNR biologists now use Lake St. Clair/Detroit River muskie eggs in their fish-stocking program throughout other Michigan waters. In addition, muskie stocking does not occur in Lake St. Clair or the Detroit River because good natural reproduction already exists. Michigan is home to two strains of muskie: Great Lakes and northern muskies. Lake St. Clair is home to a large number of Great Lakes muskies, which are native to Michigan. That’s why DNR biologists now use Lake St. Clair/Detroit River muskie eggs in their fish-stocking program throughout Michigan waters. 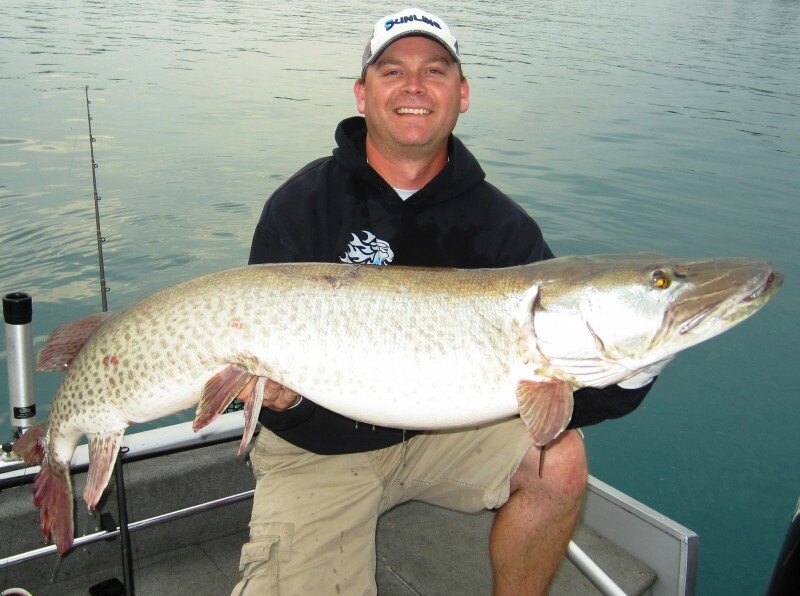 The Lake St. Clair/Detroit River system is an outstanding muskie fishery because of its large size, plentiful food supply and a steady stream of cold, clean water from Lake Huron. In 2016, the DNR stocked more than 25,000 muskie into Michigan’s waters. Fish stocking is a critical wildlife management activity. Not only does it help diversify fishing opportunities, but it also helps balance our aquatic ecosystems and, in doing so, support Michigan’s economy. Recreational fishing in Michigan is a $4 billion industry, with 38,000 jobs that are directly attributed to it. Fishermen have a direct impact on the health of all of our state’s abundant wildlife and natural resources. Fishing and hunting license sales generate the primary source of funding for conservation work that preserves Michigan’s beautiful forests, lands and waters. The Michigan Wildlife Council was created in 2014 to increase the public’s understanding about how Michigan’s outdoors and wildlife are managed and how conservation activities are funded, said Matt Pedigo, chair of the Michigan Wildlife Council. Conserving our natural resources is the key to Michigan’s future, Pedigo said. “The best way to preserve muskies and make Lake St. Clair a world-class fishery for future generations is by catching that big one, taking a picture and then letting it go,” he said.